Our interest in Finland’s Eurovision selection was piqued when its star Saara Aalto revealed 1 of our songs of the year, Monsters, at its heart. 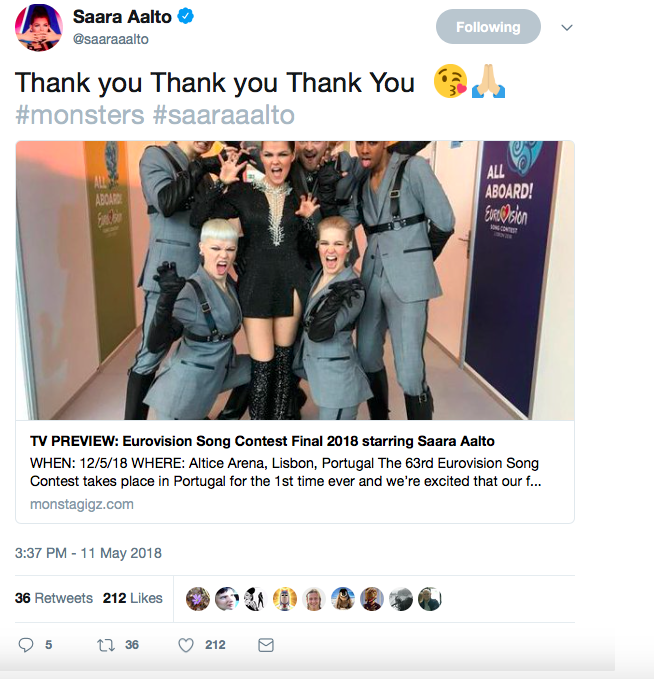 When Saara retweeted our prediction that the song was a potential winner (see above), the traffic – noticeably from Scandinavia – went into overdrive. Saara’s album Wild Wild Wonderland is currently the runaway leader in our Album Of The Year poll. We interviewed the Dancing On Ice 2019 star in September.